This guide contains resources, journals, and e-books pertaining to the many disciplines and facets of health science education. 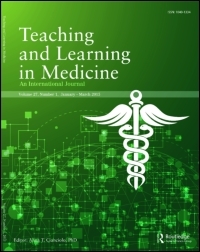 "10 must-read articles if you want to be a medical educator"
Check out these 10 articles recommended by the Journal of Graduate Medical Education editor-in-chief Gail M. Sullivan, MD. “Data dredging, salami-slicing and other successful strategies to ensure rejection: 12 tips on how to not get your paper published”: Advances in Health Sci. Ed. From Vassar L. AMA Wire [Internet]. Chicago (IL): American Medical Association; c2015. 10 must-read articles if you want to be a medical educator; 2015 July 01 [cited 2017 Feb 6]. Available from http://www.ama-assn.org.